We are one week away from the first day of dressage at Land Rover Kentucky Three Day Event! Thomas (Tsetserleg) and Boyd were drawn 51st, which means their test will begin on Friday. You can find the draw list here. To say we are excited, is an understatement. Last year our team finished 11th and, as most of you know, this is one of the hardest events in any given year. Now that Thomas is a bit more seasoned in the 4* world, we have high hopes for a top finish. But, any finish is something to be proud of when you are asked such challenging questions. We will be sure to keep you updated on our Facebook page or our Instagram, @IndianCreekFarmLLC. Also, Fair Hill is this weekend. On Cue will be having a go at her second 4* and Contaro will be shown by Mike Pendleton in Training B! 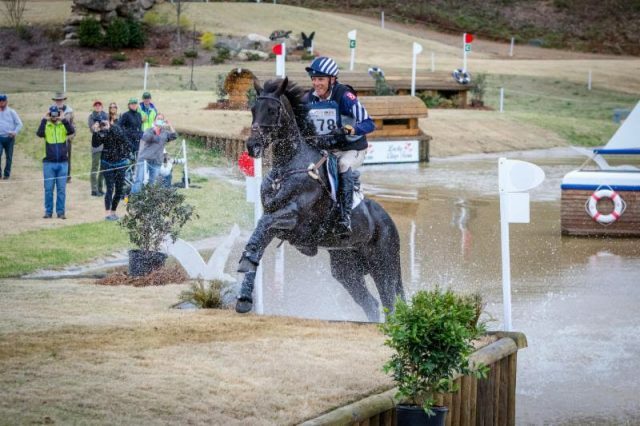 Again, thank you to all of our friends and family that continue to support us, and our horses as we tackle the world of 3 day eventing. This entry was posted in News on April 18, 2019 by Kelly. Wow, what a weekend. 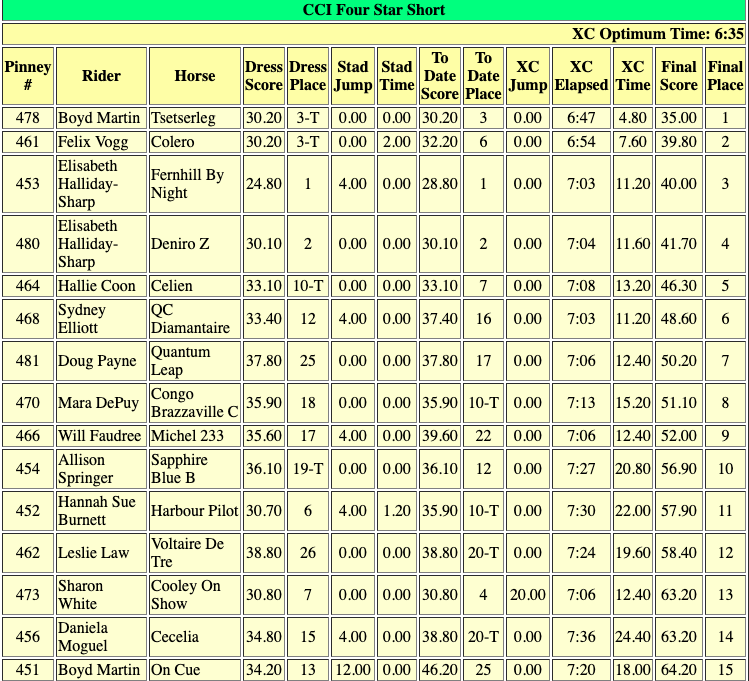 Boyd and Thomas took 1st in the CCI4*-S! They rocked it. We couldn’t be happier. On Cue was entered into her first 4* ever! Boyd went in wanting to give Cue a safe run, and that’s what they did! Boyd asked, Cue answered. Finished 15th! Love that mare! If you would like to read more about Boyd and the infamous boat in the water complex, read on here. We couldn’t do this without the support of fans, friends and family, so THANK YOU! This entry was posted in Events and tagged The Fork, Thomas, Tsetserleg on April 8, 2019 by Kelly. 2011-2016 © Indian Creek Farm LLC. Spring Branch, Texas. All rights reserved.